As we reported this week, the IRS has issued guidance on its plans to issue penalty notices by the end of this year to Applicable Large Employers (ALEs) it believes were not in compliance with the requirements of the Affordable Care Act (ACA). That guidance was made as an update to questions 52 – 58 in the IRS’s Questions and Answers on Employer Shared Responsibility Provisions Under the Affordable Care Act. Letter 226J is the communication that will be sent to ALEs it believes were not in compliance with the ACA for the 2015 tax reporting year. The IRS has released a sample of the letter, which you can see by clicking here. The IRS process for issuing penalty notices to ALEs for the 2015 tax year is now underway. If you think your company may be receiving a Letter 226J, now may be the time to identify a third-party who has the expertise needed to help you provide a timely and complete response to the IRS. 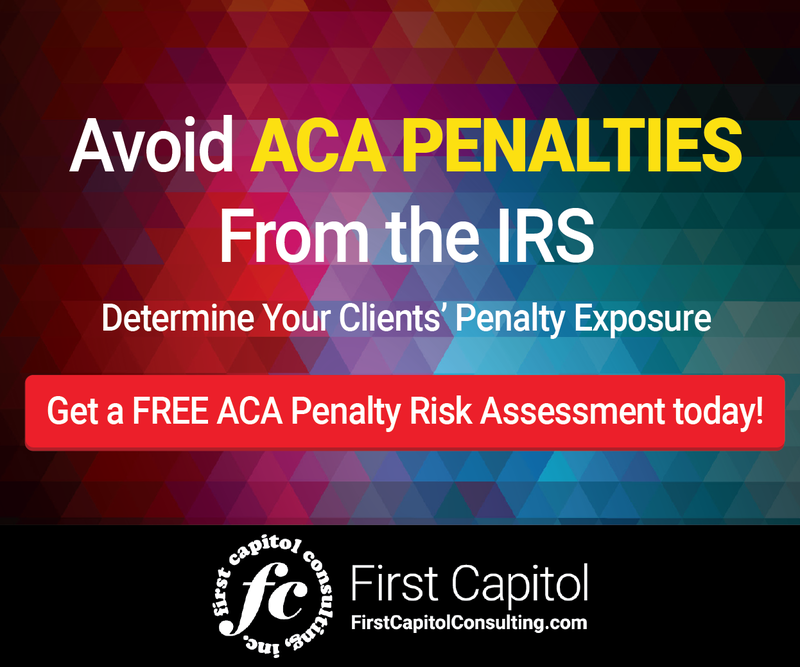 Failing to do so could lead to a penalty assessment and, possibly, an IRS audit. Time to get ready. You can prevent and protect your business from IRS audits and penalties. First Capitol Consulting is here to help with a free consultation and reviews of your 1095-C forms. Click here to get started in minutes. For any questions or a consultation on addressing IRS Letter 226J, contact Gregg Kasubuchi of First Capitol Consulting at (213) 355-5108 or at gkasubuchi@fcci.us.com. 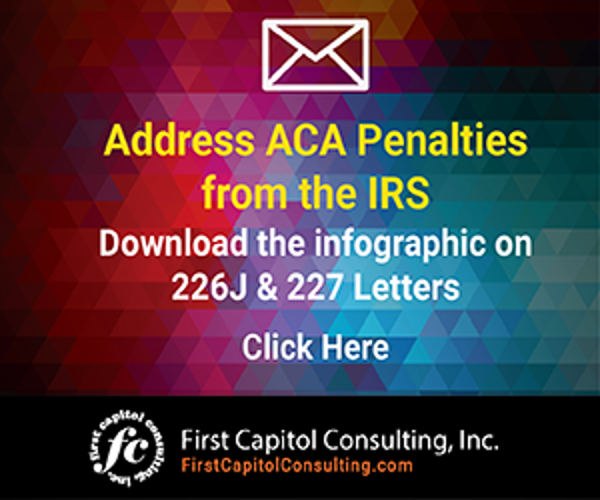 The IRS Will Start Issuing ACA Penalty Notices in 2017. The process starts with Letter 226J. You can see a sample of the letter here.